It has truly been a year of sweaters! 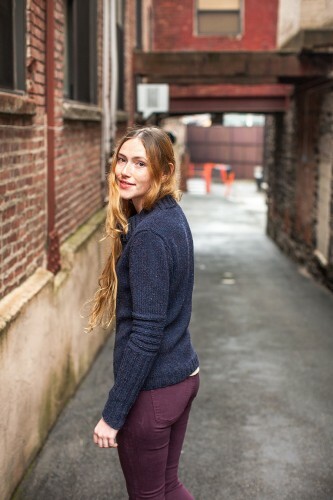 After this summer’s release of Shapes + Form, I am excited to introduce Chicane, featured in Wool People 4 from Brooklyn Tweed. 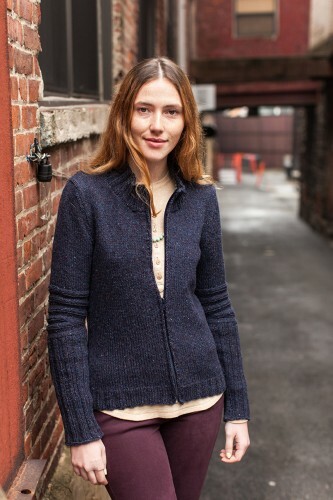 Chicane is a simple zip-up cardigan with cycling-inspired details for both men and women. When I was designing Chicane, I thought about creating a garment that both my husband and I could wear, something aerodynamic and unfussy. 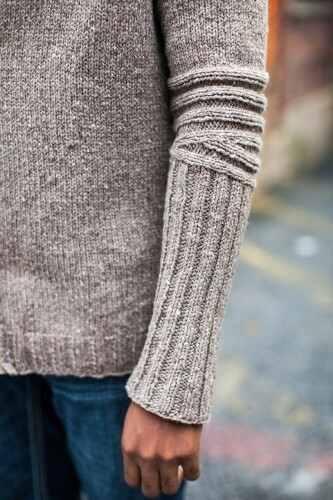 The shaped elbows are knit sideways and provide extra flexibility in a critical area. 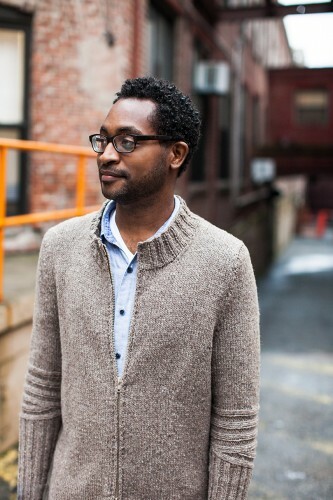 The cardigan pattern has sizes ranging from 34″ to 58″ in both the men’s and women’s versions. The women’s sizes have waist shaping and a slightly different fit to the armholes and shoulders for a more flattering fit. Shelter is so different from the sock yarns that I ordinarily find myself working with. It’s light, lofty, and unmistakably wooly. I really like the complexity of the colors in Shelter as the color play within each strand of yarn creates a tweedy effect with lots of depth. Simple knitting really shows off the beauty of this yarn. It’s been a pleasure working with Jared Flood and the entire Brooklyn Tweed team. As always, they have put out a great collection of pieces from designers all over the world. 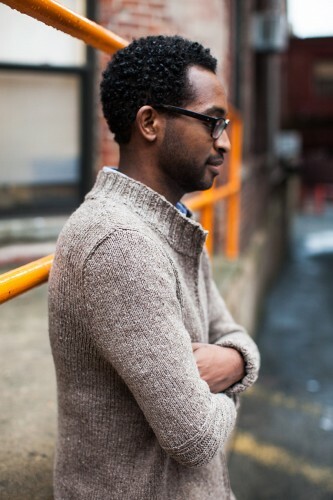 I’ve been checking out the Wool People 4 lookbook this morning and I love the variety of shapes and textures. You can get your copy of Chicane directly from Brooklyn Tweed or on Ravelry. This entry was posted on Wednesday, December 19th, 2012 at 10:43 am and is filed under Patterns. You can follow any responses to this entry through the RSS 2.0 feed. Both comments and pings are currently closed. Chicane definitely caught my eye this morning when I browsed through this edition of Wool People. I want to knit it, yes I do! Beautiful design, Cookie!